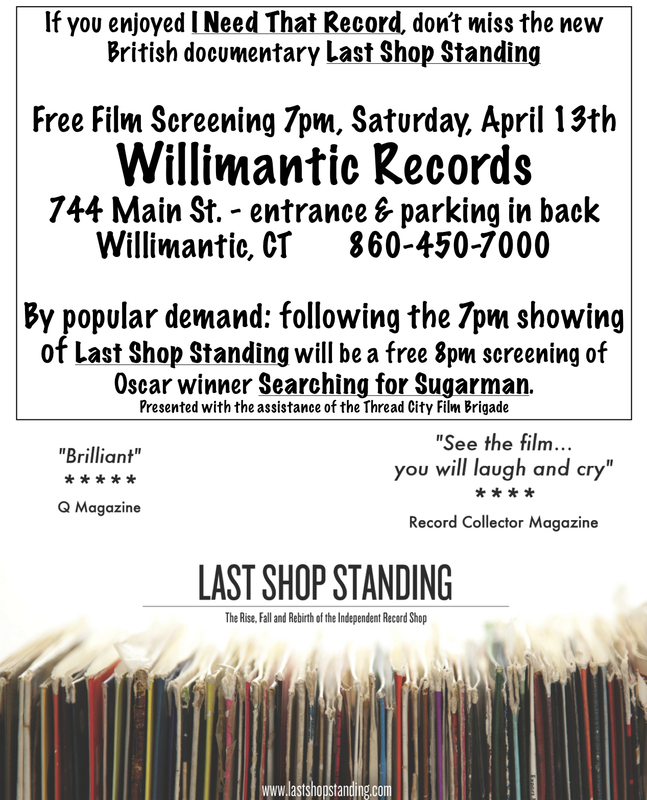 If you enjoyed Brendan Toller's excellent I Need That Record documentary that screened at Willimantic Records last year, don't miss Last Shop Standing which covers similar terrain but from a British perspective. Based on the successful book of the same name, Last Shop Standing is a celebration of the unique spirit of comradeship and entrepreneurial ingenuity that has enabled so many shops to keep operating successfully against the backdrop of massive changes in the music industry, the biggest recession in years, the growth of online file sharing and the explosion of choice in music consumption." Record shops were always more than retail outlets, they are part of our culture; they support new bands and local talent. A place for musicians and music fans to congregate, to browse away a few hours, to walk away with music they didn’t know existed. Last Shop Standing: The Rise and Fall and Rebirth of the Independent Record Shop is the official film of Record Store Day 2013. Just to clarify: the film is showing at Willimantic Records on April 13th, which is seven days prior to Record Store Day. Record Store Day 2013 is on April 20th. By popular demand, Last Shop Standing will be followed by an 8pm free showing of the Oscar winning documentary Searching for Sugarman.